Great Plains Food Bank : Chefs Gala : Chef Biographies : The Area's Finest! The chefs that participate in the Chefs' Gala & Auction are all local experts in their chosen cuisine. 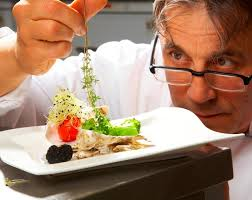 They have apprenticed with the finest chefs, and mentored many upcoming superstars! Many of them are artists not only with food but other mediums as well! Each chef has a story, and we encourage you to check them out!